"I am very impressed by this album and his talent like I wrote earlier he is so good in making stunning intro's which keep you interested what more will come like in this song " peace". I am in love with his voice, even though it arent massive high octaves or vocal power ballads he sure has a very great sound." 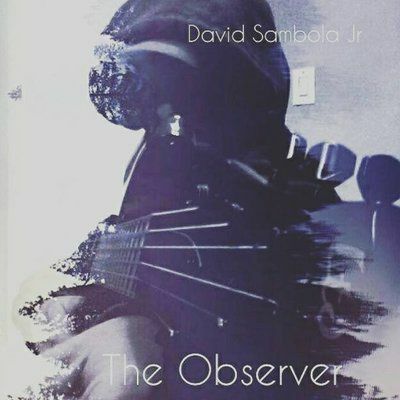 New Orleans Multi Instrumentals Melodic Metal Singer-Songwriter by the Artist name The Observer is a true example of the phrase “Multi-Talented” The Observer "Rather In-name to his own discretion" was a person down on his luck earlier this past year in 2016 with health problems and family vows in dismay he decided to dedicate his life to his first love, Music. Music is just for me, I play all my own music and I don’t use any type of sampling I had no formal musically training or knowledge of any musical software until now. What you hear right now aside from “Baptized and Breathe” is all written and recorded by me in the last few months. I take my music very seriously and would help any fellow artist or fan just write me anytime. I have truly have left my the future of my music career in the hands of my fans and I need your help.